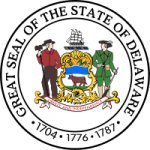 Delaware, also known as the Small Wonder or the Blue Hen State, stands sixth in terms of the population density, though; it is the second smallest state in the nation. Liberty and independence is the motto of the state. It was the first state to be admitted to Union. The state has the lowest mean elevation in the whole US nation and the economy is driven by the education, banking, chemical and pharmaceutical industries of the state. There are nearly 3000 doctors practicing in the Delaware State. Health care industry is among the top 5 employers of the nation and the development in the industry is driven by increasing demand of nurse associates in the state. The health care industry is expected to grow by more than 15% in the upcoming decade and is promising to the top employer in coming years. What are the basic roles and responsibilities of the Delaware Board of Nursing? The Delaware Board of Nursing is responsible for almost all the decisions on the medical and nursing programs in the state. The Board safeguards the public health and ensures safe and standard medical practice in the state. Issuing licensure to work and certifying the various RN, LPN, CNA, MSN, PhD, LPTN and APN in the state. The board is also responsible for the corresponding actions taken on receiving any complaint. Reviewing the various nurse training programs and providing the practice information. Checking the license and performance of various training schools, and medical and nursing aides in the State. Establishing the standards for training programs and medical practice in the state. Enforcing the rules and regulations set by the federal government for nursing. Providing the information on all the nursing associates and education programs commencing in the State of Colorado. The board is responsible for licensing, renewal of licenses, denial of licensure and reinstatement of license of all the medical and nursing staff in the state.